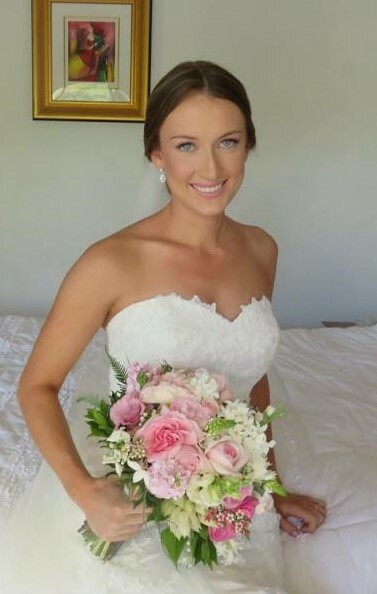 Wedding florist using fresh perfumed flowers grown at Eumundi Roses. A variety of flowers including specialist English Roses, Lisianthus, Spring Bulbs, Natives and many other varieties. Available as beautiful made up bouquets, table arrangements, bunches, arbours and more. Wedding dance is also a specialty with 16 years experience dancing and teaching – Your dance can be easy and simple or a choreographed routine to surprise and delight your guests. Eumundi Roses is also a plant nursery specialising in perfumed roses, herbs, seedlings, cottage flowers and interesting plants.